From Leavenworth, Kansas, W.T. 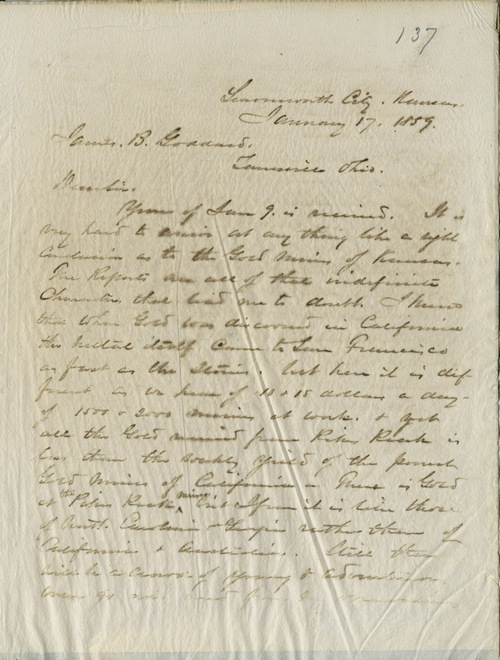 Sherman wrote to a correspondent in Louisville, Ohio, regarding the uncertain prospects of "the Gold Mines of Kansas". He speculated that the Pikes Peak mines would yield some gold but nothing like the mines of California and Australia, and offered some travel advice.